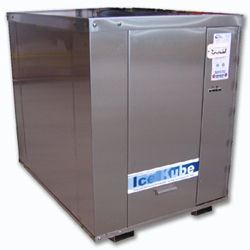 Our design supports our mission - to provide a dependable and simply designed unit that is both economical and cost effective. 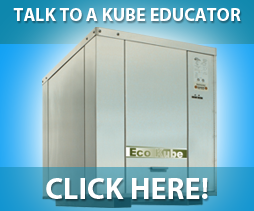 Kube Solutions heat pumps require little service and can easily be adapted to your system. Our engineers work with your design team in integrating the system for maximum efficiency. And because our units are controlled by remote desktop software, it doesn’t require a licensed or specialized operator. But when you need help, Kube Solutions is there to provide service and technical support. with no reversing valve allows you to supply heating to areas of a building while cooling others. and are readily available at most local suppliers. can result in as much as 60% to 80% savings when compared to conventional systems. ii. decreases mechanical room footprint. makes adding units to meet future load requirements simple. with circulation pumps on stands decrease on-site labour.